This week, SC Jazz History gives us a look at famed trumpet players, William Alonzo “Cat” Anderson and Leo “The Whistler” Shepherd, who are known for their “screech” or screaming solos. A screech solo is when the instrument is played in more than five octaves and into the highest registers. In musical terms, the music is played in the altissimo range (high F and beyond). Altissimo is Italian for “very high.” It is interesting to note that both Cat Anderson and Leo Shepherd played in the Jenkins Orphanage Band along with Jabbo Smith. Leo Shepherd was a key player in Lionel Hampton’s band and was an early influence on high note trumpeter, Maynard Ferguson. He garnered fame by playing triple C’s and up. Although his sound and style is similar to Cat Anderson, Leo could play higher more consistently. 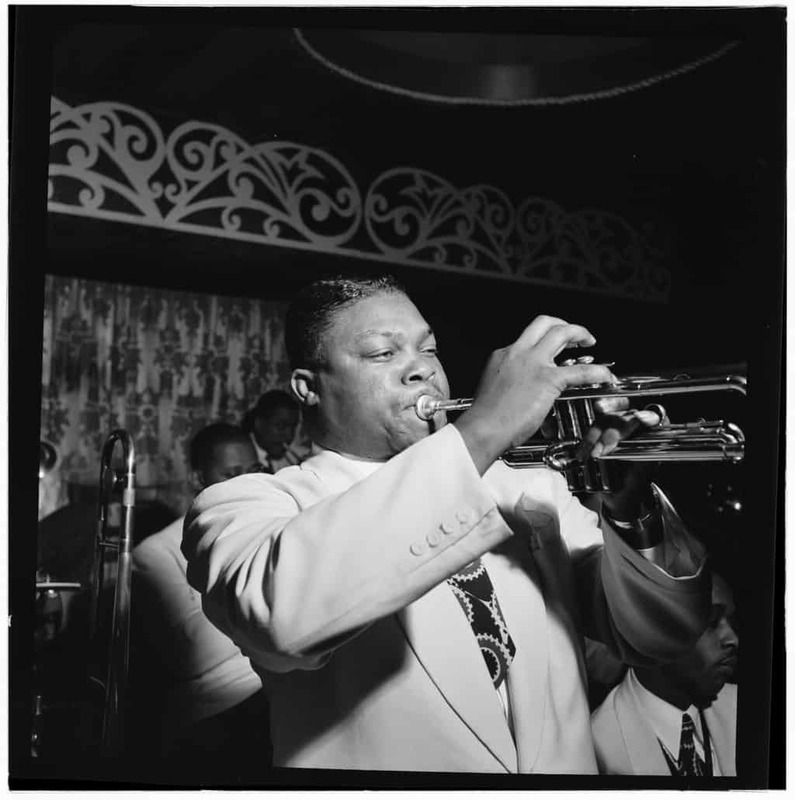 However, Cat Anderson is argued as the best high note trumpet player, and one listen of his solo (3:45) in Satin Doll for Duke Ellington’s 70th Birthday concert will incline any ear to agree. Some say it is the highest trumpet solo ever performed.